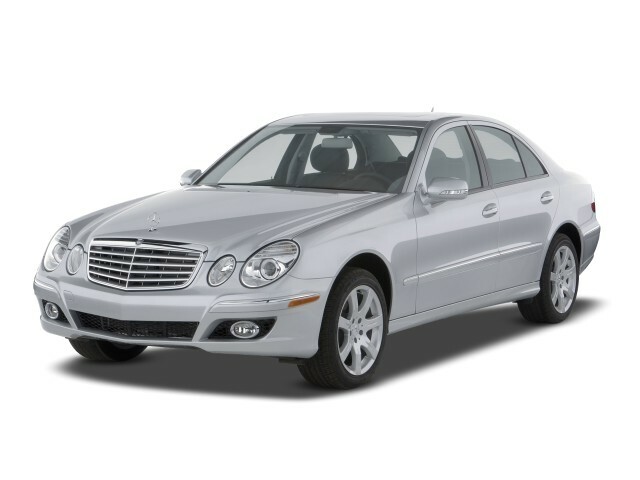 You may want to consider leasing because the 2009 Mercedes-Benz E-Class will be replaced by an all-new model for 2010. The 2009 Mercedes-Benz E-Class family can be the right fit for a wide range of luxury buyers—even those who want the very frugal or the very fast. TheCarConnection.com's editors drove the new Mercedes-Benz E-Class in order to give you an expert opinion. TheCarConnection.com's car experts researched available road tests on the new Mercedes-Benz E-Class to produce this conclusive review and to help you find the truth where other reviews might differ. If you appreciate luxury and complex engineering solutions, then you'll love the 2009 Mercedes-Benz E-Class. TheCarConnection.com’s editors have put thousands of miles on various Mercedes-Benz E-Class models and truly enjoy their performance. The lineup is graced with a classic and tasteful interpretation of a formal Mercedes-Benz grille and roundish headlamps. Higher-performance models get a more aggressive front air dam and bigger wheels, but the car never looks "boy racerish." Mercedes-Benz keeps improving the E-Class and 2009 is no different. For the new year, all E-Class models come standard with PRE-SAFE and feature a new COMAND system with a 6.5-inch color display screen; an in-dash, six-disc CD/DVD changer; and Bluetooth. The E350 and E550 Sport sedans now come with the AMG Sport Package as standard equipment and new seven-spoke 17-inch wheels. Big news for 2009 is the availability of 4MATIC all-wheel drive for all E-Class models at no increase in retail price. Full-time four-wheel drive provides year-round traction and stability with negligible weight and fuel-efficiency trade-offs. The engine lineup of the E-Class goes like this: normal, super efficient, powerful, and super powerful. The base powerplant is a 3.5-liter V-6 engine producing a satisfying 268 horsepower for the E350 sedan; a 3.2-liter clean diesel producing exceptional economy along with 210 horsepower is available in the E320 Bluetec Sedan; a 5.5-liter V-8 makes 382 horsepower in the E550 sedan; and the 6.2-liter high-performance V-8 develops 507 horsepower in the E63 AMG sedan. The E320 and all V-8 models enjoy the increased acceleration and fuel economy provided by a seven-speed automatic transmission, while the E350s make do with a five-speed automatic gearbox. The cockpit of the 2009 Mercedes-Benz E-Class is roomy for front and rear occupants. Materials and fit and finish are excellent, but in such an expensive vehicle, that's what one would expect. When it come to features, all 2009 Mercedes-Benz E-Class models are loaded and include a standard sunroof and an upgraded Harman Kardon stereo with six-disc CD changer. A new option for 2009 includes giving non-AMG models a more aggressive look with AMG front and rear aprons, 18-inch five-spoke wheels, dual chrome exhaust, and AMG steering wheel with shift paddles. Other options include a navigation system, adaptive cruise control, heated and cooled front seats, a heated steering wheel, and a power trunk closer. The adaptive cruise control is a real joy to use and makes driving in some types of traffic much easier, but we'd skip the nav system, as it's not user-friendly. An available iPod interface allows users to safely adjust their Apple audio player from the steering wheel controls. Standard safety items on all 2009 E-Class cars include four-wheel disc brakes with ABS and Brake Assist, side-impact and head-curtain airbags, electronic stability control, automatic slip control, and active head restraints to help reduce whiplash injuries. The 2009 Mercedes-Benz E-Class retains its distinguished design inside and out: sleek and sophisticated to some, while stately and a little stuffy to others. In the last year of its current model cycle, the 2009 Mercedes-Benz E-Class proves that good looks never go out of style. The Mercedes-Benz E-Class has a "sleek and dignified design," and specifically, the E550 has "a classy yet powerful presence," says Edmunds. "Changes for 2009 are minimal, with an AMG appearance package now available on the E350 and E550 models," reports Cars.com. That package equips 2009 Mercedes-Benz E-Class 350 and 550 sedans with "front and rear aprons, 18-inch, five-spoke wheels, and dual chrome exhaust tips," they add. A lone dissenter of the Mercedes-Benz 2009 E-Class love-fest is Car and Driver, who snipes that "after five years on the market, [it] is showing some gray around the temples." A new E-Class is expected soon after the current model year. The standard E-Class sports a classic and tasteful interpretation of a formal Mercedes-Benz grille and roundish headlamps. Higher-performance models get a more aggressive front air dam and bigger wheels, but the car never looks "boy racerish." Kelley Blue Book describes the 2009 Mercedes-Benz E-Class interior design as "a tasteful mix of leather and wood" and notes "standard burl walnut wood trim and black gauges give way in Sport Package-equipped models to black bird's-eye maple trim." Cars.com appreciates the Mercedes-Benz E-Class placement of seat controls "on the doors where every manufacturer should put them." However, they note that the larger Mercedes S-Class' interior is "splendid" and even the "entry-level" C-Class is better in some respects than the E-Class. They feel "the next E should...leap forward." Edmunds admires the 2009 Mercedes-Benz E-Class' "sleek and dignified design" but dislikes its "antiquated and confusing control layout." The Mercedes-Benz E-Class sedan provides "an airy two-tone cabin, where supple seats and coordinating soft-touch surfaces are complemented by elegant wood inlays," they add. The 2009 Mercedes-Benz E-Class features one of the most diverse engine and transmission lineups in the luxury sedan market. The 2009 Mercedes-Benz E-Class pounds the pavement with a bevy of powerful engines; base versions are tuned for luxury, while the E63 is tuned for sharp handling. Mercedes-Benz E-Class customers have the option of choosing rear- or all-wheel drive, known as 4Matic, at no additional cost. Edmunds reports that "all rear-wheel-drive E-Class models come with a seven-speed automatic, while the 4Matic models feature a five-speed...the automatic offers three modes: Comfort, Sport and Manual." ConsumerGuide says, "in all, the transmissions provide smooth, timely shifts." In their testing of a Mercedes-Benz 2009 E550 4Matic, ConsumerGuide achieves 17.5 mpg. They note "premium-grade gas is required in all non-diesel models." EPA fuel economy ratings for the 2009 Mercedes-Benz E-Class range up to 23 mpg city, 32 highway for the E320 Bluetec diesel and 17/24 mpg for the rear-drive E350. What makes the Mercedes-Benz E-Class unique is the availability of a diesel engine. The Mercedes-Benz 2009 E320 Bluetec features a 3.2-liter V-6 diesel that produces 210 horsepower and 400 pound-feet of torque. Other engine choices include a 3.5-liter V-6 (E350) that produces 268 hp and 258 pound-feet of torque; a 5.5-liter V-8 (E550) that produces 382 hp and 391 pound-feet; and a massive 6.2-liter V-8 (E63 AMG) that produces 507 hp and 465 pound-feet. "Being a diesel," reports Edmunds, "it boasts superior fuel mileage and plentiful torque." In testing, ConsumerGuide finds the 2009 Mercedes-Benz E-Class offers effortless acceleration and passing power, no matter the engine choice. The E350 is "stately from a stop but gathers speed quickly and has fine passing power"; while the E320 is "similar," it suffers from turbo lag when accelerating from a stop and passing. The E550 is "impressively gutsy from any speed," they conclude. The "manic" Mercedes-Benz 2009 E63 (as described by Edmunds) can hit 60 mph in just 4.3 seconds. The E350 does it in the mid-6-second range, the E550 takes 5.2 seconds, and the E320 is no slouch either, taking just 6.8 seconds, all according to Edmunds. It's no wonder Kelley Blue Book claims "the E-Class' engine lineup is one of the most dynamic on the planet." When it comes to handling, however, the Mercedes-Benz E-Class is no match for its archrival, the BMW 5-Series. Where the BMW is marketed as the ultimate driving machine and lives up to that, the E-Class is "certainly adequate...but isn't a willing partner like a 5-Series can be," reports Edmunds. They add, "although the Benz E550 is, without question, a track star during acceleration runs, super-athletic moves on a twisty road are not the car's forte." Kelley Blue Book notes that the "V-8 models feature a sophisticated adjustable air suspension with adaptive dampers to combine a smooth highway ride with firm handling." That air suspension, according to ConsumerGuide, "had an affect on ride quality: Comfort mode allowed slightly more wallow than Sport 1; tire thump was more noticed in Sport 2...Sport Package models are a shade more agile." Motor Trend notes the E63 models have the “dynamics of a sports car,” however. 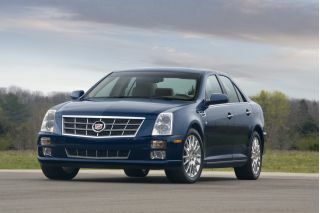 Various reviews read by TheCarConnection.com laud the brakes as powerful and capable of delivering short stops. Though the design may be getting long in the tooth, the 2009 Mercedes-Benz E-Class still enjoys high-quality fit and finish and adequate room for four adults. There is little to fault in regard to the 2009 Mercedes-Benz E-Class' comfort and quality; space is good, seats are comfortable, and quality is what’s expected of a Benz. The build quality of the Mercedes-Benz E-Class is regarded as very good. Edmunds feels "materials and build quality fully befit the big-bucks price tag." ConsumerGuide remarks, "cabin decor is modern and tasteful, with quality materials and top-notch assembly." "Structures seem impressively stout," they add, which may help to explain the 2009 Mercedes-Benz E-Class' "well-muffled" wind noise. The diesel E320 is "little louder overall and nearly devoid of traditional diesel clatter." In their review of the Mercedes-Benz 2009 E-Class, ConsumerGuide finds that "six-footers get good headroom and plenty of legroom. The seats and tilt and telescopic steering wheel have ample power adjustments to tailor a good driving stance." However, if those same folks want to sit in the backseat of the 2009 Mercedes-Benz E-Class, it's a different story: "Headroom is limited for six-footers, legroom grows tight behind a tall front-seater, and foot space is only adequate." Edmunds generally likes the seats in the Mercedes-Benz E-Class, saying that "the seats in the Mercedes E550 are firm but ideally shaped to provide proper support," but they are somewhat miffed by the fact that "the lumbar support adjustment is manual, not power as one would rightly expect in a luxury sedan costing $60 grand." Edmunds mentions that the Mercedes-Benz E-Class trunk lid "opens itself completely at the push of the key fob's button," but Mercedes-Benz vehicles from the '60s featured trunks that closed themselves. "The trunk isn't very tall and the lid hinges eat into space," adds ConsumerGuide. Mercedes-Benz 2009 E-Class in-cabin storage of small items is "only average" according to ConsumerGuide. But a split folding rear seatback is available, an "unusual feature in the class," they note. A full complement of standard safety features and high marks in crash tests make the 2009 Mercedes-Benz E-Class one of the safest luxury sedans available. The 2009 Mercedes-Benz E-Class leaves very little to want in terms of safety features or capabilities. In tests conducted by the Insurance Institute for Highway Safety (IIHS), the 2009 Mercedes-Benz E-Class rates "good" for frontal offset, "acceptable" for side impact, and "good" for rear crash protection. In National Highway Traffic Safety Administration (NHTSA) crash tests, the 2009 Mercedes-Benz E-Class fares well. The Mercedes-Benz 2009 E-Class sedan receives four stars for front impact protection, five stars for side impact protection, and four stars for rollover resistance. Unique safety features of the 2009 Mercedes-Benz E-Class include "an adaptive brake light that flashes when the car is under rapid or panic braking,” notes Cars.com. That's a safety feature meant for people following behind the Mercedes-Benz. They conclude, "If all else fails and the Mercedes-Benz E-Class does crash, the standard Tele-Aid—which is similar to GM's OnStar—will contact authorities and send them to your location." Edmunds explains that avoiding accidents is partly the result of being able to see well from the driver's seat. "Long a Mercedes feature, the power drop-down of the rear headrests made parallel parking less of a hassle, although it would be nice if Mercedes included parking assist as standard equipment. (It's optional.)" "All 2009 Mercedes-Benz E-Class models come with stability control, antilock brakes, front and rear side airbags, full-length side curtain airbags and the TeleAid emergency system," according to Edmunds. Also standard is what Mercedes-Benz 2009 reviews call PRE-SAFE. Cars.com explains: "If the radar sensor predicts an impending collision, Pre-Safe cinches the front seat belt pretensioners and can even change the position of the front passenger seat for optimal protection by the restraints." Furthermore, "In a serious skid, the [Mercedes-Benz E-Class' PRE-SAFE] system closes the moonroof and any open windows, a step to prevent occupant ejection, which can occur in a collision or, especially, a rollover." The 2009 Mercedes-Benz E-Class has a long list of feature possibilities, if you’re willing to dig in for the options. The 2009 Mercedes-Benz E-Class comes very well equipped, no matter which trim you choose. Mercedes-Benz 2009 E-Class trim levels include the E320 Bluetec (sedan only), E350 (sedan and wagon), E550 (sedan only), and the high-performance E63 AMG (sedan and wagon). 2009 Mercedes-Benz E-Class "E320 Bluetec and E350 are equipped almost identically," Edmunds tells us, sharing not only the standard features listed above, but also "ten-way power front seats with memory, dual-zone automatic climate control, power tilt-telescoping steering column and a Harman Kardon surround-sound audio system with a CD changer and auxiliary audio jack." "Standard equipment highlights [of the Mercedes-Benz E-Class] include a harman/kardon premium audio system, in-dash six-disc CD changer, memory front seats, sunroof and a full complement of safety features that includes eight airbags, electronic stability control and Mercedes' PRE-SAFE system," says Kelley Blue Book. According to various reviews read by TheCarConnection.com, you may opt for the no-cost Sport package on the Mercedes-Benz 2009 E550, which adds 18-inch wheels, a lowered sport suspension, blue tinted glass, different wood trim, and dual chrome tailpipes. "The Mercedes-Benz E-Class E63 AMG comes equipped similar to the E550, but adds split-folding rear seats, heated front seats, satellite radio and an array of AMG performance and styling features," concludes Edmunds. "Two designo packages (Espresso and Graphite), a keyless entry and start system, heated and active-ventilated (cooling) front seats, front and rear parking sensors, panorama sunroof, navigation system, adaptive headlamps, AMG Sport Package, Bluetooth hands-free telephone connection, voice control and iPod integration,” are some of the popular options for the Mercedes-Benz E-Class, according to Kelley Blue Book. E320 BlueTEC has been a solid car in all respects. Diesel is very quiet, pulls extremely well. Surprises many people off a traffic light. 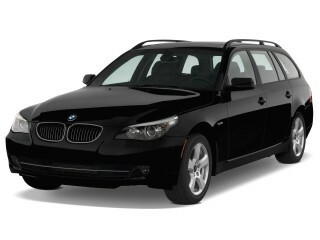 Comfortable highway car, with great fuel economy - especially considering the size and weight. Reliability has been very... Diesel is very quiet, pulls extremely well. Surprises many people off a traffic light. 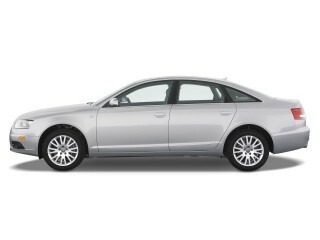 Comfortable highway car, with great fuel economy - especially considering the size and weight. Reliability has been very good. Purchased the extended warranty and that solved a few minor leak issues - may have been a break-even proposition when balanced with the cost of the additional warranty.